Payback is perhaps the appropriate subtitle for the latest entry in the Need for Speed catalogue. The EA racing series suffered more than a few missteps during its 2015 reboot. One has to believe that the Payback title was, at least in part, Ghost Games and EA acknowledging and attempting to correct those criticisms. Need for Speed Payback in action. Image copyright EA. Payback attempts to make up for its past missteps by expanding the single player campaign to a 15-20 hour experience. They also include a hearty dash of drag racing, which was inexplicably left out of the 2015 Need for Speed. Oh, and you can actually pause the game in single player mode, unlike the reboot. The graphics took a step back for some reason – on the Xbox One, at least. Perhaps the Ghost Games team had to take a visual hit to bring in all of the extra gameplay content, but when you consider the pristine look of rivals like Forza, one wonders why the graphics couldn’t have been preserved with a bit of ingenuity. Action Driving is a joke. It is made to look exciting and crazy, but actually requires no extra skill. If you take a look at the ads that have come out for the game, you’ll see your characters performing all kinds of crazy parkour and slick stickmanship. Those are cut scenes. Those cut scenes are mindfully interspersed between rather monotonous driving sequences to make the progression look quite impressive – to a third party viewer. To the player, unless that player is a brand new casual to the franchise, there is no real challenge involved. The initial marketing for the game made a huge deal out of the cop chases. The actual play style in those situations is a completely linear experience, again, made to look flashy without any real delivery on the gameplay. The early 2000s slo-mo when you flip a cop car doesn’t do too many favors for the game’s integrity, either. We had to make sure that none of the game’s shortcomings were due to a less-than-competitive Internet speed. Racing games obviously don’t perform well with lag, so before the multiple trial sessions, we tested our Internet with bandwidthplace.com. One of the positive aspects of the game is the need for a fast reaction time during some sequences. The above specs may slow you down a tad. Make sure that you check your Internet connection before playing so that you will achieve the best performance that your reflexes can muster. The game has shortcomings, but to its credit, it still moves fast. Overall, the newest addition to the 20+ year old Need for Speed franchise isn’t a dud, but it isn’t exactly the next level game that fans expected or deserved. New players will be impressed enough with the core gameplay to give a few weekends to it. 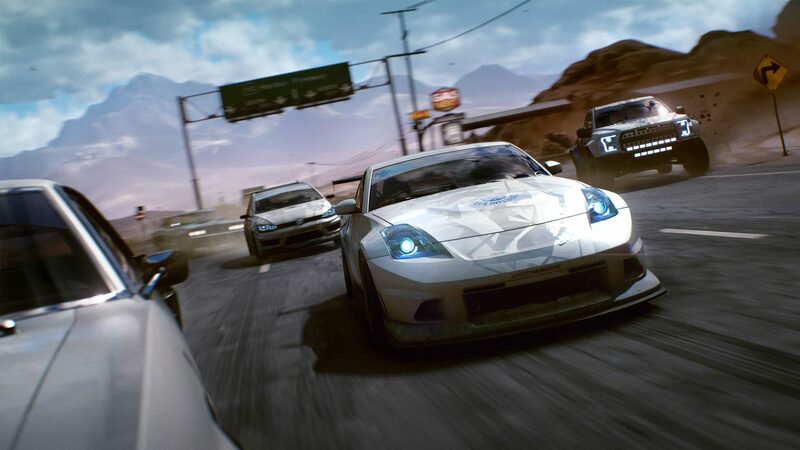 But if you have been following Need for Speed for any substantial amount of time, Payback will likely leave you a bit dissatisfied, and you won’t exactly know why. It’s a bit of everything not progressing as quickly as it should. Light up the forums. The next installment will be your real reward.